Resilience to climate change: who pays (and who benefits)? A seminar, panel discussion and the opportunity to stay to dinner to explore community resilience and adaptation to climate change. In association with the Joseph Rowntree Foundation. This event is free of charge to attend. The first Climate Change Risk Assessment (2012) revealed the significant implications of climate change for the health and wellbeing of the UK population. Direct risks to health include increased flooding and heat. Impacts on business through flooding, for example, affecting supply chains and productivity, on water and energy supply and demand or on the built environment and infrastructure, all have implications for the wellbeing of communities and individuals. One objective of the UK Government’s National Adaptation Programme (2013) is to ‘minimise the impact of climate change on vulnerable groups in society by strengthening their resilience to better prepare for, respond to and recover from future climate risk.’ Other objectives highlight the importance of promoting community resilience to severe weather related events through preparation, response and recovery. Yet whose responsibility is it to deliver this resilience and preparedness to the challenges posed by climate change? With large cuts expected across Government budgets in the Spending Review, being announced on 25th November, who will pay to deliver adaptation and build resilience, avoiding the large social cost to us all, and particularly to the most vulnerable in society, through a failure to meet the climate change challenge? How have the risks posed by climate change to the UK changed since the first Climate Change Risk Assessment in 2012? What does this mean for the National Adaptation Programme and the measures required by central, local government and communities to address these risks? What lessons can we learn from civil society, local and central government in building community resilience and preparedness to climate change? Who will pay, financially, to deliver resilience and who will benefit from this investment? The importance of considering space and place in delivering climate change adaptation and resilience. This event is aimed at all interested professionals, including policy-makers, practitioners, academics, business leads and representatives of NGOs. Please let us know upon registering whether you would also like to stay for dinner. 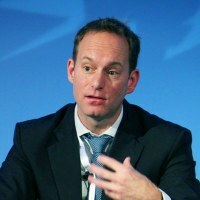 Alex Nickson is the Mayor of London’s representative on the London Climate Change Partnership. 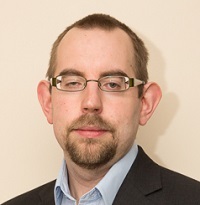 Alex is the Policy and Programmes Manager for Climate Change Adaptation and Water at the Greater London Authority. Alex is a founder member of the London Climate Change Partnership and deputy-chair of the Local Adaptation Advisory Panel. Alex has also advised the Intergovernmental Panel on Climate Change, the C40 Cities, the United Nations International Strategy for Disaster Reduction, the World Bank, the European Investment Bank and the European Bank for Reconstruction and Development on adaptation in urban areas. Daniel Johns is the Head of Adaptation at the Committee on Climate Change; an independent, statutory body established under the 2008 Climate Change Act. The committee’s role is to advise the UK Government and report to Parliament on the steps that should be taken to reduce UK greenhouse gas emissions and prepare for climate change. Daniel has a background in strategy and environmental policy, most recently within Defra leading on flood and coastal defence investment, partnership funding, and flood insurance. Dr Clare Twigger-Ross: Technical Director, Collingwood Environmental Planning Ltd.
Clare will be presenting the results of a study for the Joseph Rowntree Foundation: ‘Community resilience to climate change: An evidence review’. Clare is a Technical Director at Collingwood Environmental Planning, having joined in 2002 and leads the practice’s work on social research and social appraisal. Clare has over 15 years’ experience of social research and the environment with a specific focus on flood risk. Over the past five years she has carried out work on community resilience in relation to emergencies, flood risk and climate change, making links with earlier research into social vulnerability and community engagement in environmental decision making. Clare is a passionate advocate for the value of the social sciences within the environmental arena and has worked with the Environment Agency, England and Wales and Defra on a number of projects on the social aspects of flood risk management with a key focus on synthesising research, understanding and evaluating implications for practice. Kit England is a Policy and Communication Business Partner at Newcastle City Council, and has worked on Climate Adaptation for over six years. He chairs the Core Cities Climate Resilience and Adaptation Working Group, comprising the UK’s ten biggest cities outside of London. The group worked with Defra to broker the Cities agreement in England’s adaptation plan; subsequently Kit was seconded to Defra to advise on urban issues. At a local level, Kit developed a citywide weather network to inform climate modelling, as well as undertaking risk assessments. More recently, he supported an independent review of Newcastle’s response to severe flooding in 2012. He has worked with the Joseph Rowntree Foundation on the development of ‘ClimateJust’, a set of climate services to aid understanding of, and investment in, social vulnerability. Kit has also worked with the European Institute of Technology (EIT) to explore opportunities for private financing of adaptation, and is currently working to integrate adaptation into projects across the North East’s ERDF programme. Neil Adger is Professor of Human Geography at the University of Exeter. He has researched and published widely on the social challenges of climate change risks and adaptation. He served as a Convening Lead Author for the Intergovernmental Panel on Climate Change in its Fifth Assessment Report and is currently a Lead Expert for the UK Climate Change Risk Assessment for 2017. He is a member of the Resilience Alliance, a global network of social scientists and ecologists working on theory and practice of resilience and sustainable development.